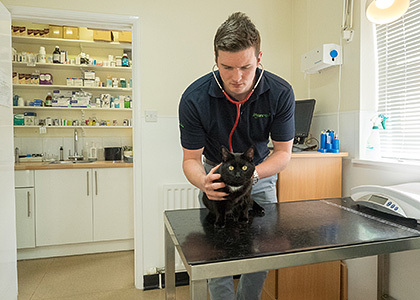 We offer consultations with our vets across three branches at times in the day we hope will suit you. We strive to provide continuity for you and your pet where possible, so please let us know if you wish to see a particular vet and we will do our best to accommodate you. In addition our nurses offer consultations in Sturminster Newton and Blandford for nutrition, weight, dental hygiene and parasite advice. If your pet requires a prescription you can complete the request form online or contact us at the surgery. We can also provide a written prescription if you would like to obtain these medicines from another veterinary surgeon or pharmacy. Please allow 24 hours notice to collect a repeat prescription. Our vets can only prescribe prescriptions for pets under their care. We need to see your pet every 6 months to ensure continuity of care and prescription suitability.